*在此酒廊 A La Carte 用餐,房客还可以获得10%折扣. 此折扣不包括酒类饮品和香烟. 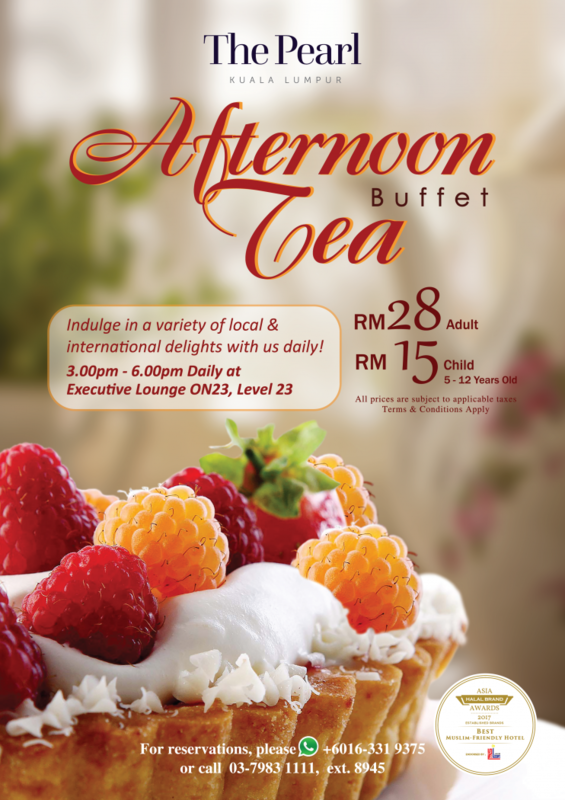 FREE Afternoon Tea Buffet at Executive Lounge Level 23. All-day free flow coffee, tea and chilled juices. Complimentary Breakfast and Free Wifi Available. Effective 1st Sept 2018, all room rates are subject to a 6% service tax.